ACM SIGGRAPH is interested in partnering with other groups to sponsor, co-sponsor, or grant “in-cooperation” status to conferences, workshops, and other technical meetings that would be of interest to our community. ACM SIGGRAPH is financially responsible for the event. 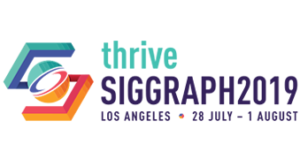 ACM SIGGRAPH is not a financial sponsor or co-sponsor of these events, but the event is recognized as a serious professional conference or workshop with proceedings published by a reputable publisher. ACM SIGGRAPH shares the financial responsibilities with the co-sponsoring organization(s). ACM Digital Library content from conferences sponsored or co-sponsored by ACM SIGGRAPH is available for free in the ACM Digital Library for a one-month period that begins two weeks before each conference, and ends a week after it concludes. Following this one-month “free access” window, the content is available at no cost in perpetuity, exclusively through specialized conference open access links on the ACM SIGGRAPH website. Conferences that would like to co-locate with SIGGRAPH or SIGGRAPH Asia should follow the standard process for a specialized conference and additionally follow the Co-Location Procedures. There are numerous options available to co-located conferences, including space in the convention center, use of the SIGGRAPH conference registration system, and audio/visual packages. The various options available are included on the SIGGRAPH Co-location Space Request Form.